A balanced diet and keeping active is key for adults to be fit and healthy. There are many stages in adulthood and to age healthily it’s important to have a healthy lifestyle at all stages to reduce the risk of long-term health conditions such as obesity, type 2 diabetes and high blood pressure. Younger adults may be embarking on a new life at university or moving out of the family home – no longer under the watchful eye of a parent, learning how to look after themselves and maybe cook for the first time. Later in adulthood some may have pressing concerns about diet and maintaining a healthy weight or want to change their lifestyle to reduce their risk of developing certain diet and lifestyle related diseases and in this section you can find out more about dairy in a healthy, balanced diet and explore our resources for adults. The best way to get all the nutrients adults need is to eat a wide variety of nutrient rich foods from the food groups. Foods and drinks containing fat and/or sugar should make up just a small part of your daily intake. Due to their smaller stature, women generally have lower energy needs than men. Men require around 2500 calories per day while women need 2000 calories. However, this is only a guide and everyone’s energy requirements are different depending on activity level, weight, metabolism and many other factors. While women tend to eat less, their requirements for many nutrients are the same as their male counterparts – or, as with iron, even higher. But the principles of a healthy, balanced diet are the same for all adults. Dairy products provide many important nutrients for people of all ages. Milk, hard cheese and yogurt are the number one source of calcium in the UK diet, which is crucial for maintaining healthy bones. 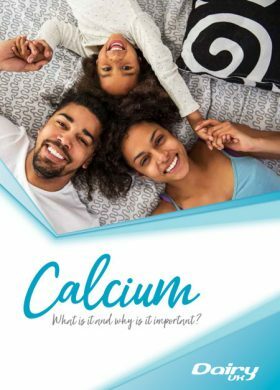 You can learn more in the Calcium section. It isn’t just calcium that we get from dairy; foods from the dairy group contain other important nutrients too. Milk is high in protein, riboflavin (also known as vitamin B2), vitamin B12 and iodine, in addition to providing phosphorus and potassium. All of these varieties still have similar levels of the key nutrients including protein, calcium, and vitamins B2 and B12. The lower-fat varieties are lower in calories and so are a great option for those looking to mind their calorie intake. Low-fat yogurts and reduced-fat cheeses are also available at most supermarkets. Some people do not have the ability to digest lactose – the sugar found naturally in milk. This means that it can pass undigested into the large intestine, causing bloating and stomach pain. This is known as Lactose Intolerance. The prevalence of lactose intolerance varies within different ethnic groups and it has been estimated that it affects around 5% of the British population. Contrary to popular belief, many people with problems digesting lactose can tolerate small amounts and do not have to avoid all dairy foods. Hard cheeses such as Cheddar and Red Leicester contain very little lactose so can be well tolerated, and live yogurt cultures have been shown to improve lactose digestion. Many people who experience lactose intolerance can also consume moderate amounts of milk without problems, particularly if it is taken as part of a meal rather than on an empty stomach or distributed throughout the day. NB: Lactose intolerance is not the same as milk allergy.